92 standard rooms, 99 superior rooms and 15 family rooms all housed in three separate building complexes. All rooms are tastefully decorated, have private bathrooms with bath or shower, cosmetic amenities, hairdryer, cosmetic mirror, mini fridge, kettle, flat screen Led-TV 28′-40′, individually controlled air-conditioning, direct dial phone, wifi, ironing facility, balcony or terrace, safety box either in room or in reception, wake up service, room service, laundry service, daily cleaning service. Cleaning service for extra requirements also available in the afternoon. Pillow choice, soft mattress topper, double bed, connecting rooms on request. Pool towels on deposit from our Euphoria wellness spa. 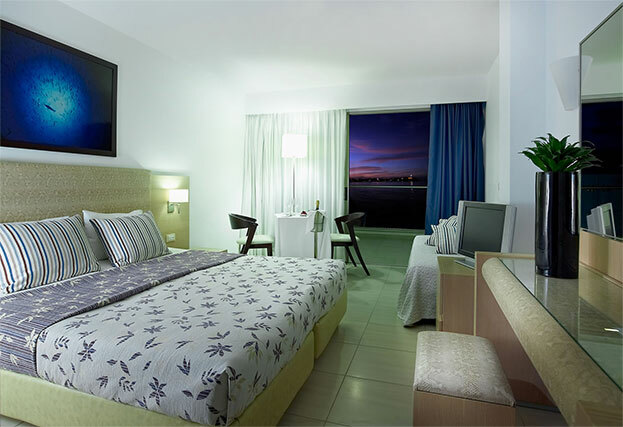 Standard double or twin rooms are simple in design, inland or poolside recently renovated while the more recently built modern and spacious Superior rooms offer a special touch to your holiday, pool or seaside, recommended for additional occupancy. Some Superior poolside rooms are adapted for guests with special needs, please confirm availability. The hotel’s mini market Agora offers a variety of personal cosmetics that might be needed and the possibility to fill your fridge with water, refreshments, beers etc. 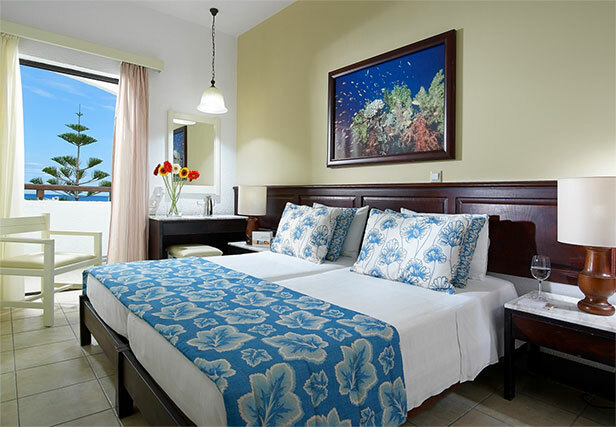 Standard rooms are recently renovated to create a lovely homely feel. 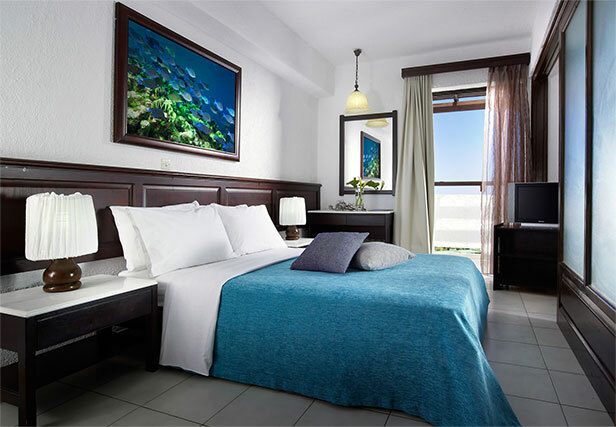 Family rooms consist of two separate bedrooms connected with a glass sliding door and can accommodate up to 4 persons.Ideally suited for families with 2 children.